To create an event poster for the Blue Hat Octet. I wanted the poster to have a slightly sinister look, something that would make people look twice. 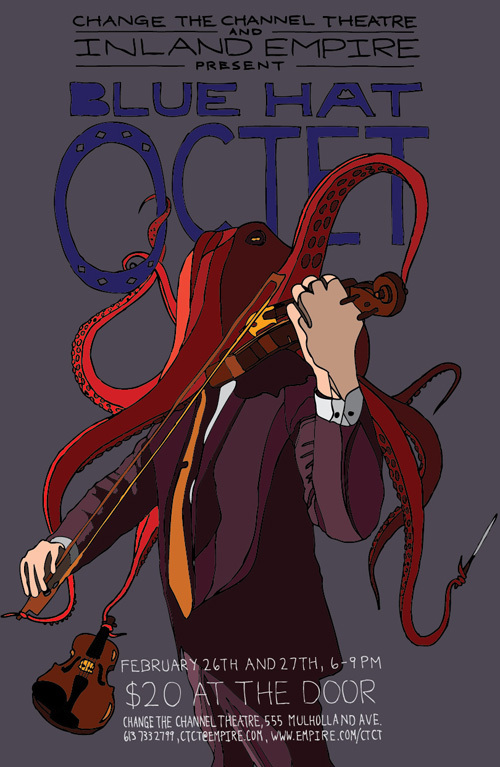 I used an octopus to play on the fact that an octet is an eight member musical group. All elements were drawn by hand, then edited and coloured in Illustrator.